Have you ever wanted to do a seasonal craft last minute, and without a run to a craft store? 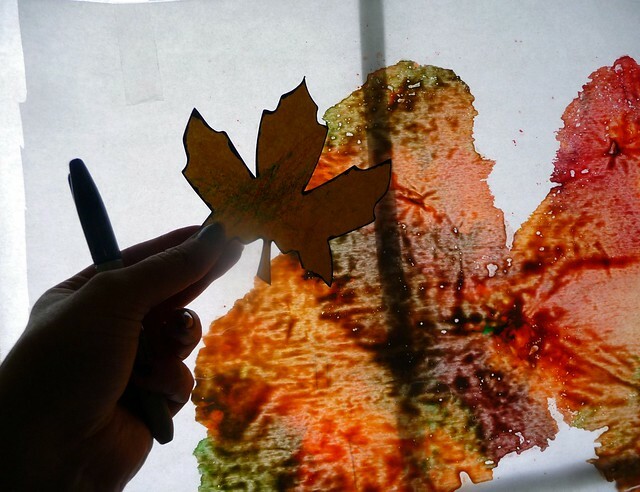 Wax crayon leaves are perfect! If your like me you have crayons that have started to crumble, or that don’t draw very well anymore, or crayons that your child was given at every restaurant you have ever visited! If so you are halfway to making this craft! 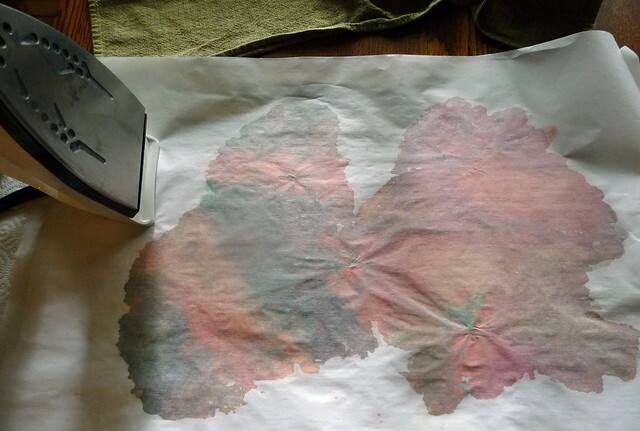 You only need wax paper from your pantry and a very hot iron! STEP 1: Roughly sketch out your shapes. 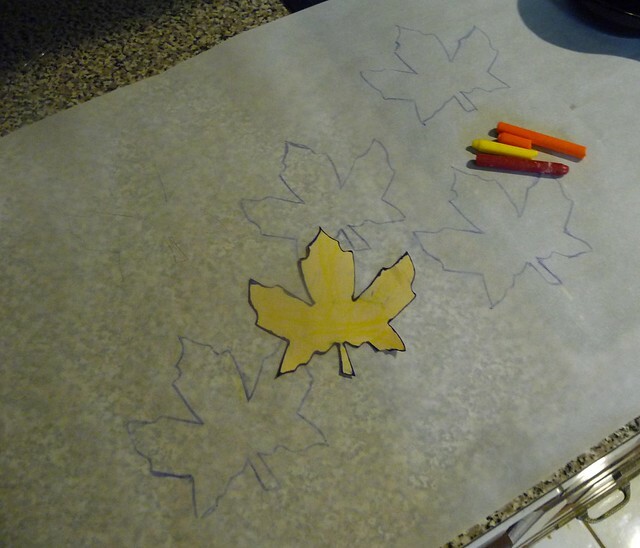 I was using just a couple crayons and wanted to make sure that my leaves would fit on the wax paper I had handy. This step is not necessary unless you are just pr-planning how many shapes will fit on your paper. 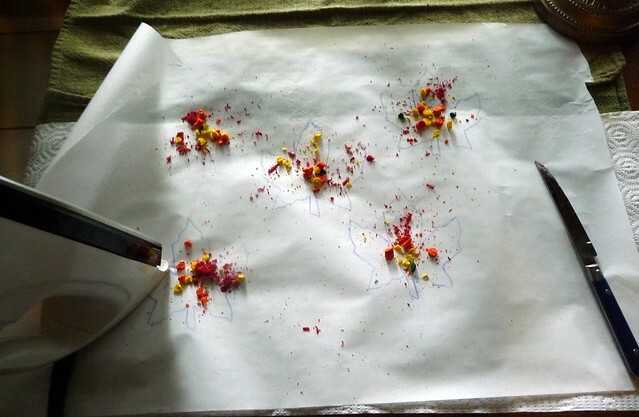 STEP 2: Use a knife or grater to crumble a couple different color crayon shavings onto your wax paper, keeping in mind you need less than you think as they will spread. STEP3: Use a second sheet of wax paper and place both on a towel protected surface. Let your iron start to melt your crayon, and then spread color where you want. STEP 4: If you didn’t do step 1, this is a good time to trace some shapes on your wax paper. STEP 5: Cut out your shapes and hang where light comes into a window! If cutting your shapes makes your wax shapes crumbly, just add a dot of glue to hold the shapes together. 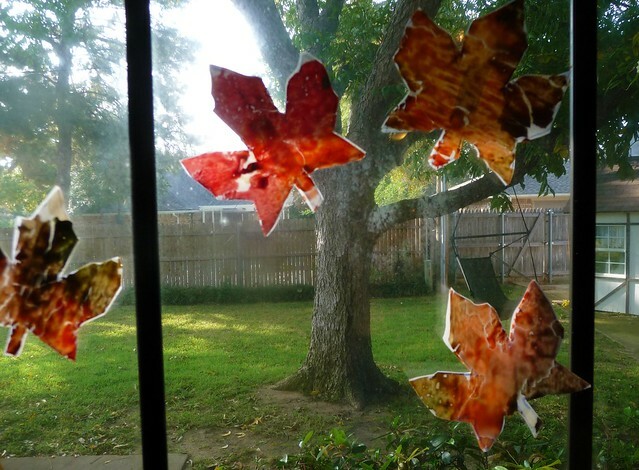 Wouldn’t these leaves be beautiful on the windows of a dinning room where you are going to eat Thanksgiving dinner? What about making wax snow men or snowflakes using blue hue colors for winter? so cute!! love this idea!! I used to take real leaves and use a hot iron on wax paper with my mom when we were little, and then take the wax paper and hang it up! I made one a few falls ago and put it in a frame:) fun stuff! ps how do you stick the leaves to the windows? @Nikki, Thanks Nikki! You can hang them up with string – but I just used double sided tape! That stuff is so useful for EVERYTHING! Adorable! I would love to try theses with the girls. You always find such creative stuff. How beautiful!!! I LOVE fall and fall colors.